Ever heard of YFS Concept Store? 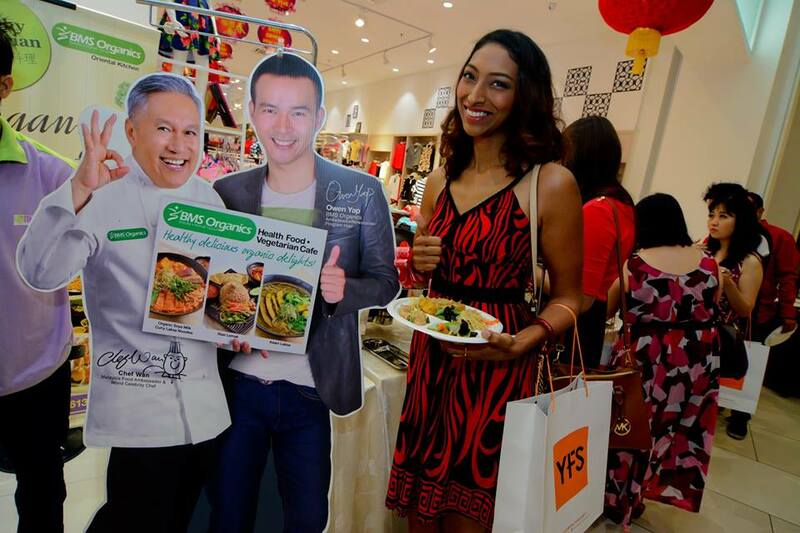 Actually, YFS concept store has been around for more than 3 decades with it's first store in Johor Bahru, Malaysia. 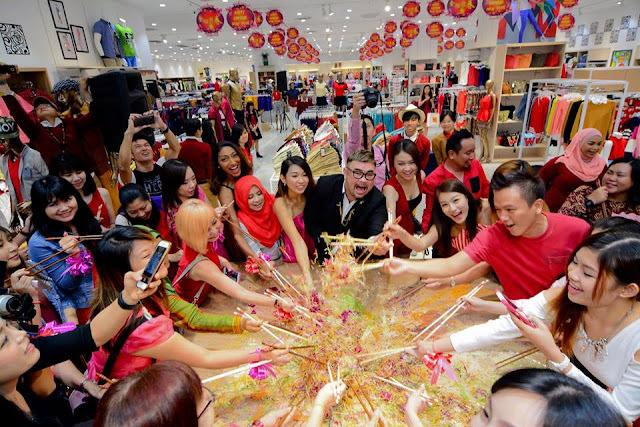 It has now grown to over 50 outlets nationwide and is one of the leading apparel companies in Malaysia. 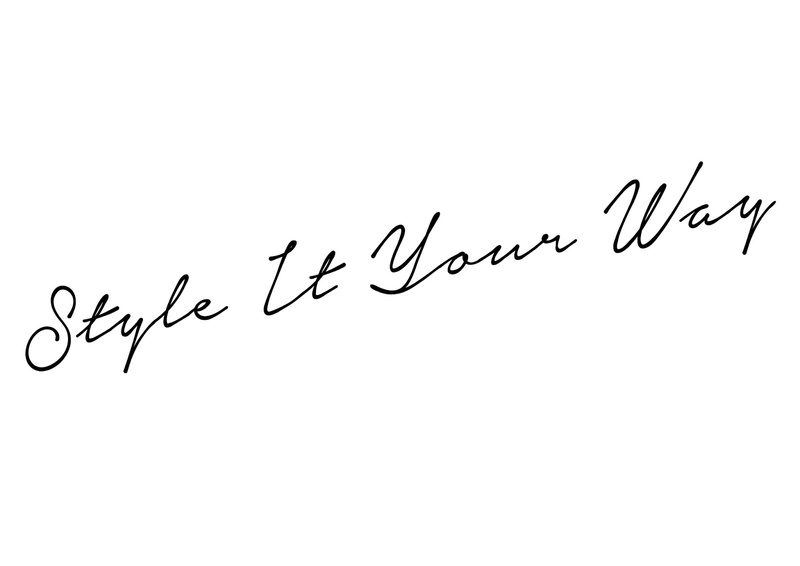 This year, YFS which stands for Young Fabulous and Stylish, revamped its brand to a Korean Streetwear Concept along with a new tagline 'Style It Your Way'. 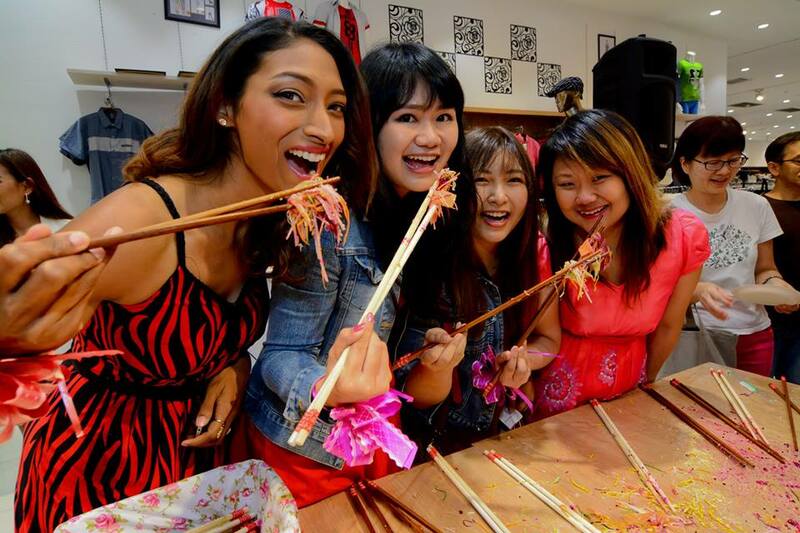 To launch this new brand identity, YFS which offers competitively priced fashion clothing celebrated their new stand by throwing a blogger and media party in conjunction with Chinese New Year. To my advantage, the luncheon was held in IOI City Mall in Putrajaya which is a stones throw away from where I reside, yippee! The CEO and Co-founder, Mr. Nicholas himself was there to greet the bloggers and media. In his short and sweet speech he explained that YFS clothes have a very Asian appeal no matter in style or size. He also added that the Korean fashion you find in YFS stores are versatile and cater to both a male and female clientele. Mr. Nicholas' speech was followed by an auspicious Lion Dance performance and special appearance by the Monkey King! 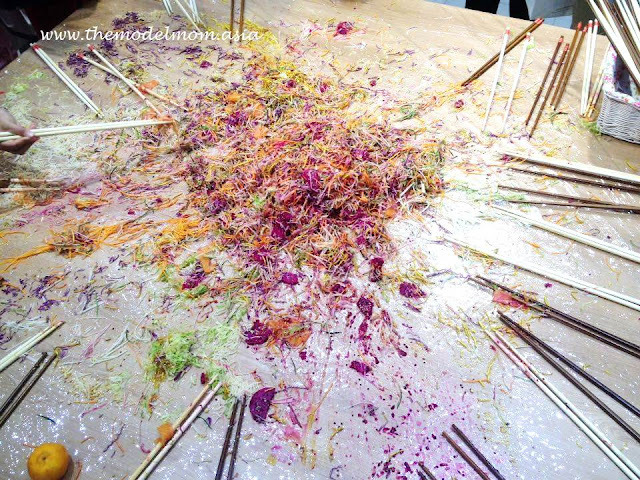 All media and guests then gathered around for a huge Lou Sang toss that traditionally signifies abundance of luck & happiness for all. This is what my fortune said. Good reminder. It was indeed tiring but the scrumptious vegetarian lunch by BMS Organic kept me fueled throughout! 3 of my Final ensambles. I had to take a picture to decide. Facebook Contest only opened to the invited guests of the event. Contest ends on 6 March 2016 so you still can vote! The Top 10 highest LIKES will receive RM100 worth of products and the winner, will walk away with RM300 worth of products. YFS Concept Store surprised the invited media by getting us to choose our own Chinese New Year presents. Each guest got to bring home a set of YFS clothing and a pair of Ad Jeans. Ad Jeans is one of YFS Concept Store's priced apparel as they come in various colours, designs and are stretch to fit & flatter all body sizes. The store really is a one stop centre as it offers bags and accessories as well as a children's line and if you are stumped for choice, you can always ask their sales personnel. 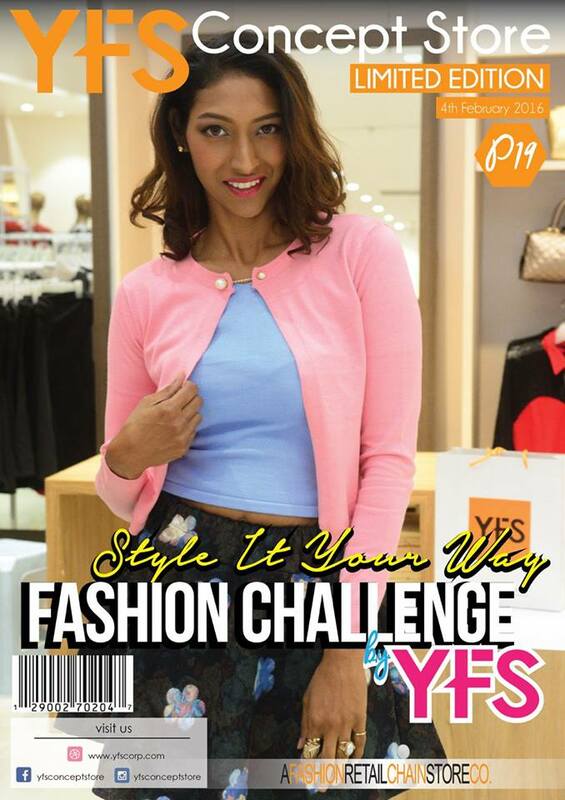 According to Mr. Nicholas Chong, YFS Concept Store staff are not only well trained personal shoppers but also fashion lovers who are passionate about style & love looking good. They are capable of providing fashion & styling tips to customers. For more information, please visit YFS Concept Store official webpage at www.yfscorp.com. You can also become a fan at YFS Concept Store Facebook page at http://www.facebook.com/YFSConceptStore/ to get the latest updates and information. 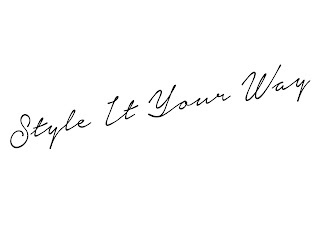 Instagrammers..do checkout and Follow their Instagram 'YFS Concept Store' for contests and such! This is a bit late but hey! Huat Ah! Great service, reliable, quick, and cheap. My Réparation iPhone Paris finally cracked because I refused to put on a case and it fell out of my hand for the hundredth time, this time on concrete. I walked in with no appointment and got my phone back with a new screen just a couple of hours later.